Finding a Nanny Doesn't Have to Be Complicated! We know that finding the right nanny for your family isn't always easy, but finding a competent nanny to care for your children shouldn't be frustrating or expensive. 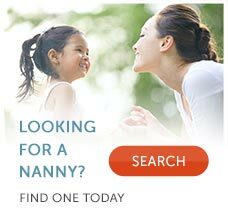 At eNannySource, we've harnessed the power of the Internet to provide you with the tools you need to find a nanny independently, without using impersonal classifieds or a more expensive traditional nanny placement agency. Best of all, eNannySource is the largest Website of its kind to exclusively feature nannies in the United States, so your search results will always be accurate and relevant. With memberships ranging from a free trial (contact information is not viewable) to our two reasonably priced membership packages (between $98 and $149, depending on the level of service required), you can create and publish an online profile that describes your family, your job specifications and your ideal professional nanny. Finding a nanny then simply requires your review of resumes from professional and dedicated nannies who are interested in positions like yours. On eNannySource, nannies also create profiles that include their experience, interests and ideal family. Both parents and nannies can use our powerful search engine to find and contact each other as they search for their perfect match. eNannySource grew its roots in traditional nanny placement. Since 1994, we have operated a traditional, award-winning nanny placement agency. We know how to help clients find the right nanny for their family. Find out more about our experience in making the right match in the About Us section, get detailed answers to frequently asked questions on our FAQs page, read Testimonials from clients who have used eNannySource, or, if you're new to the nanny search process, get started by visiting the Getting Started section of our site.